The Centre was slammed by the Supreme Court for its "callous and casual" approach towards welfare of urban labourers. The labour secretary was asked by the court to be personally present before it and explain how the government intends to spend over Rs 27,000 crore collected as construction cess. The Supreme Court earlier directed all the states to set up the board to frame and implement welfare schemes for the benefit of construction workers and is now monitoring the implementation of the social welfare act. 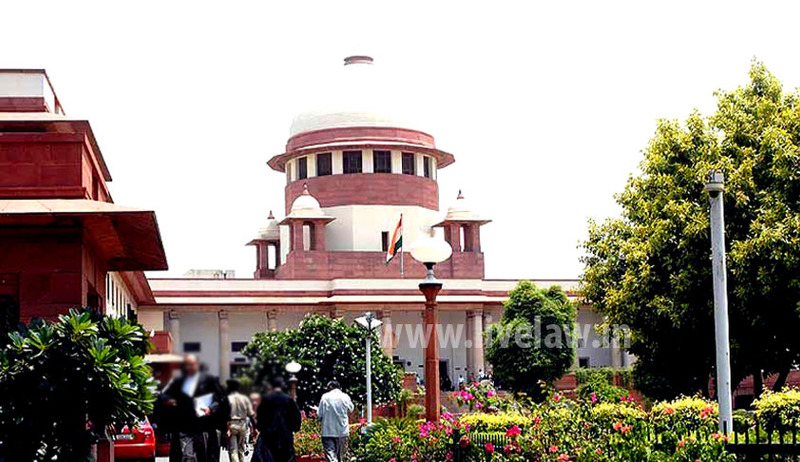 The Centre has been neglecting its direction to frame policy for spending the money to provide basic facilities to daily wage earners in urban areas and the government machinery had failed to take a decision on the issue despite its explicit orders that collection of cess would be stayed as there was no proposal on how to spend the amount according to the bench of Justices Madan B Lokur and U U Lalit. "Our order is being taken in a casual manner and we are left with no option but to ask the secretary, ministry of labour to appear in court. He will be present in court with possible action plan. We indicated in our earlier order it is not appropriate to be casual. We hoped that it would have salutary effect on officers but nothing happened. We are extremely disturbed. Governments are sitting over Rs 27,000 crore but laboures are not getting any benefits. It is a shameful and amazing situation as the amount is not spent on labourers,” the bench said. The bench turned down the plea when the Centre asked for one week’s time to come out with a policy because some proposal is under consideration but there was nothing concrete so far to place before the court. The bench said that no one would take the orders seriously and it would send a wrong signal. Every state is required to constitute a state welfare board to provide financial assistance for medical treatment, education of children, give financial help in case of accidents, provide loans, pensions etc. Howsoever according to the statistics placed before SC, in the last three years around Rs 4,179 crore cess was collected by eight states but for the welfare of construction workers, only Rs 361 crore was spent. Most of the money was spent on administrative purposes and advertisements. An NGO, National Campaign Committee for Central Legislation on Construction Labour, alleged that the state governments which collected the cess were not passing on the amount to the welfare boards after which the court took the task of ensuring implementation of the welfare law.